Giavanna Paradiso ’21 seems tasked with the impossible: balancing school work, extracurriculars, and managing her own business, yet, she does it all with grace. 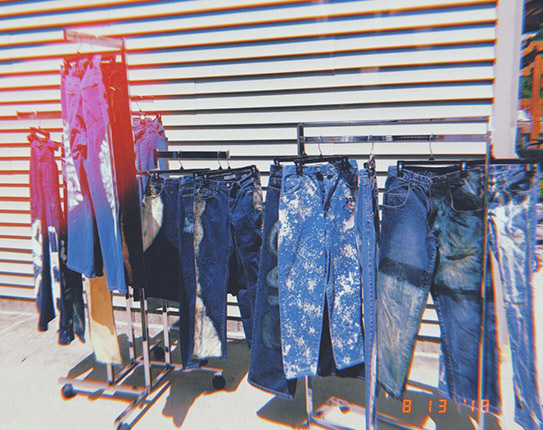 With the help of her artistic sister Chiara, and support from her family, friends, and Saint Mary’s roommates, Giavanna started her own business selling one-of-a-kind, upcycled, everyday, and college-wear clothes. Women are at the forefront of making their business, Redo By 2, come to life, as Chiara creates the clothes while Giavanna, a sociology major with a concentration in business management, handles the business side of things. They recruit their friends to model the clothes. All the women in the family, including their mother, help shop for the pieces they will eventually make one-of-a-kind and sell online. Giavanna’s sister Domini graduated in 2014 with a degree in biology. However, Giavanna was not initially sold on Saint Mary’s, as she did not want to copy Domini’s college choices and experiences. And although Giavanna still has her roots in her hometown of Columbus, Ohio, she now considers Saint Mary’s her home, too. After graduating, Giavanna said she and her sister Chiara are hoping to open up a store in the boutique shopping district of the Short North Arts District in downtown Columbus. While starting a business of this caliber can be daunting, Giavanna had the passion and the confidence to do so — a confidence, she said, that grew out of the Saint Mary’s community. Check out Redo by 2 on Instagram. 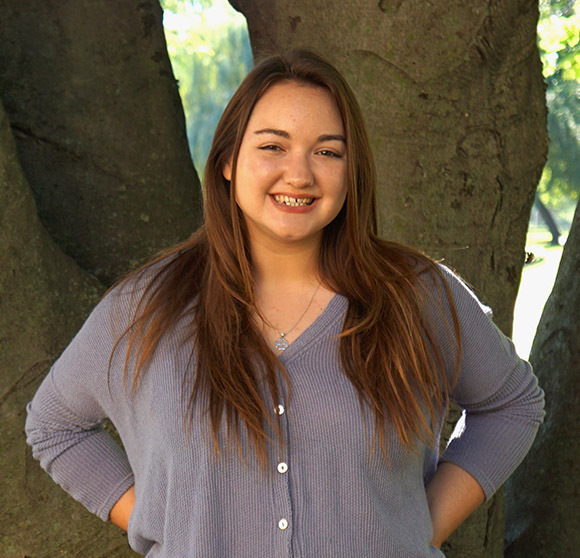 Gina is an English writing and communication major with a minor in theatre. She has written for The Observer, South Bend Tribune, and has a work of nonfiction published in the Saint Mary's literary and art journal, The Avenue. When not writing or editing, Gina enjoys working in the Saint Mary's Costume Shop and backstage for theatrical productions.